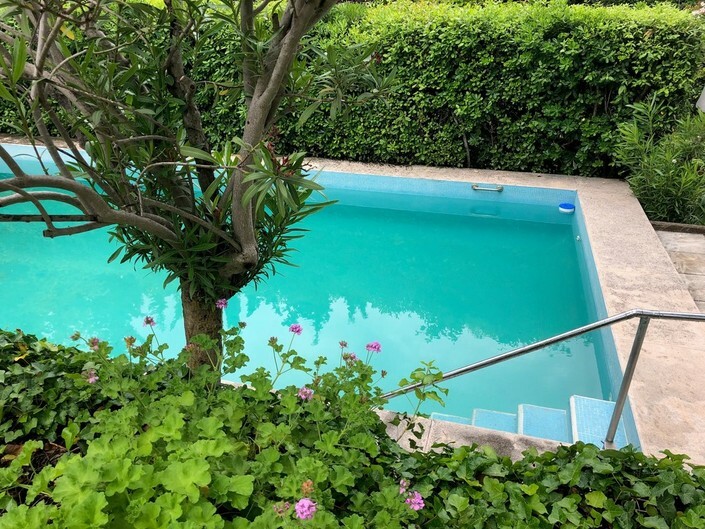 1200m ² of garden, swimming pool (12X6), petanque ground in front of the sea. 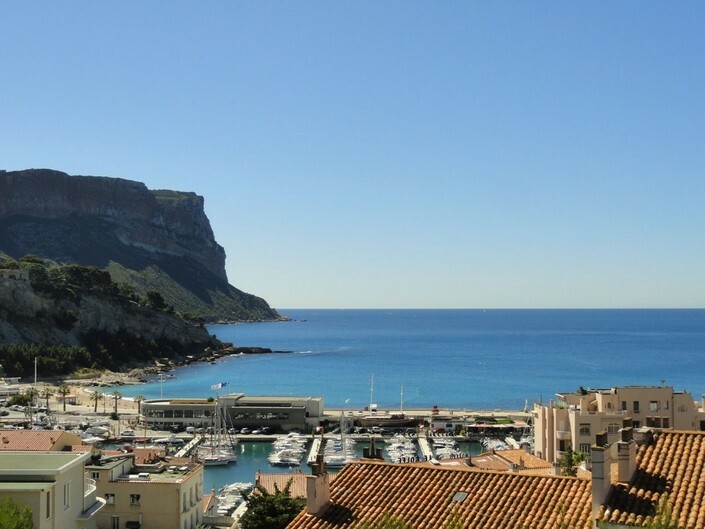 Vast terraces from which you can admire magnificent sunsets on the massif of the Calanques. Shower room with Italian shower, a toilet, and a small playroom for children. A bedroom with 1 bed 2 places (bedding siez: 160cm) with storage, and a staircase to reach a mezzanine. The bay window of this bedroom opens onto a south-facing terrace with superb sea view. All the rooms are air conditioned. Secure pool with automatic shutter with adjacent pool house, WC, shower, petanque with sea view.